We think big, but are committed to ensuring that our daily activities and our long-term goals remain interconnected. Young players complete integrated rugby and life skills learning modules to improve their leadership and life skills, sports skills, attitudes and behaviours in a safe and structured way. 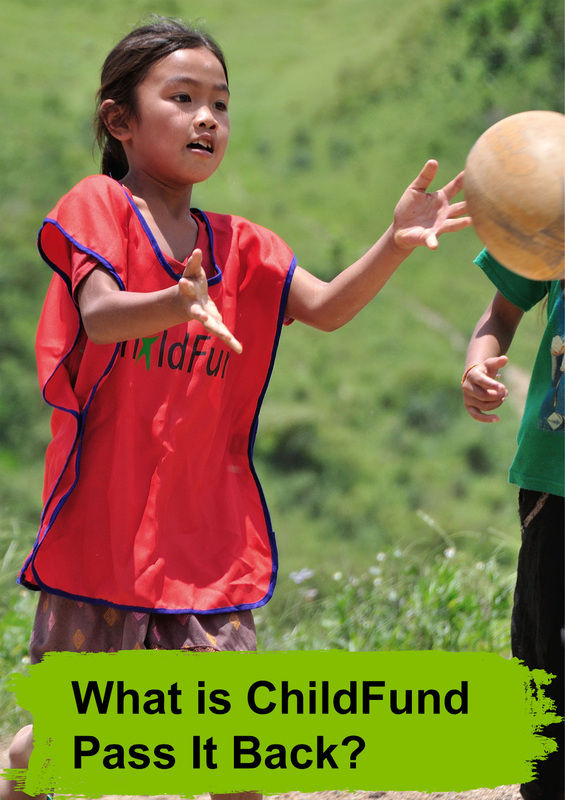 Playing as part of a team provides disadvantaged children with access to an expanded support network. Players can carry their learnings back to their communities, and become future coaches in the program. 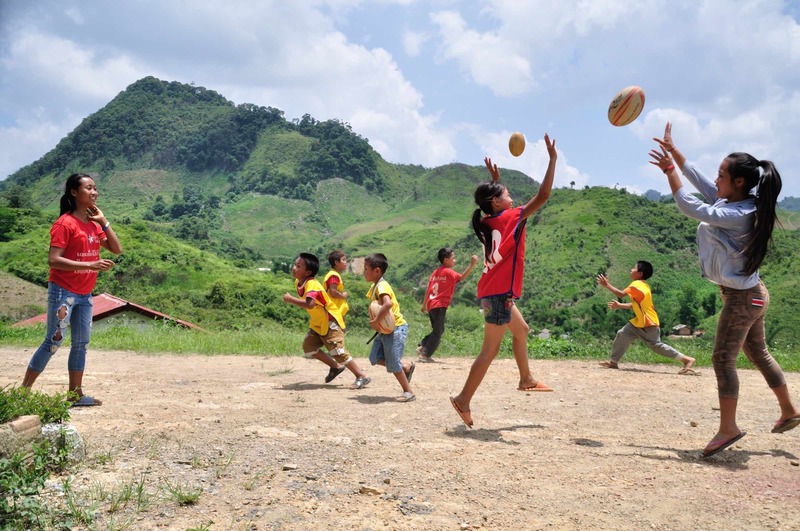 Coaches are supported to deliver rugby and life skills activities to children in their communities. These coaches have increased resilience, confidence, vision, voice and the ability to drive positive change and promote learning in their communities. They become active citizens promoting positive social change. Community members, including parents and caregivers, allow their children to participate in ChildFund Pass It Back and over time place an increased value on young people’s participation in structured sport. This, in turn, allows parents and caregivers to place an increased value on their children’s participation in activities contributing to positive social change. of important life skills learning through rugby. and are trained in a number of areas. Rugby and life skills are integrated into each session. Each session provides a strong link to rugby’s values. Child safeguarding measures are built into every ChildFund Pass It Back session. A life skills rugby based game is conducted, focusing on play-based, experiential learning. The life skills game transitions into a discussion, supported by the ChildFund Pass It Back curriculum and facilitated by the ChildFund Pass It Back coach. Teams work in same gender groups to ensure that discussions are open and safe for everyone to participate. As children in many communities where we work have often not seen rugby, we teach them how to play the game. Those interested can also take up the opportunity of further training to become coaches. Regular support is given to coaches to support their professional development and to ensure delivery quality. As coaches progress through the different levels of certification, they also have the opportunity to pursue formal international qualifications through national governing bodies supported by Asia Rugby. ChildFund Pass It Back currently only delivers tag rugby as most of the communities in which we work do not have access to safe spaces for contact rugby. However, some players have transitioned to contact rugby through national governing body’s player pathways. 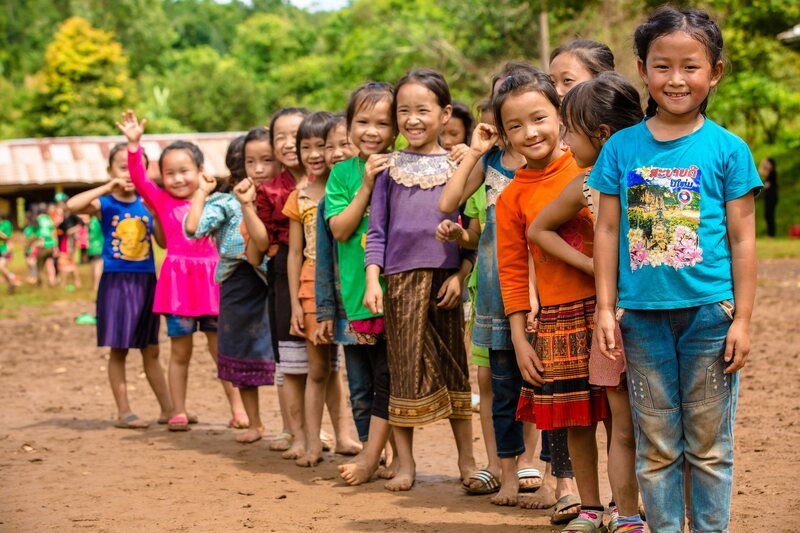 Through ChildFund Australia’s involvement as a pioneering organisation on the UNICEF International Safeguards for Children in Sport, ChildFund Pass It Back is taking a lead in supporting National Governing Bodies in the region to improve their safeguarding practices. ChildFund Pass It Back is also supporting the development of national first aid leaders. 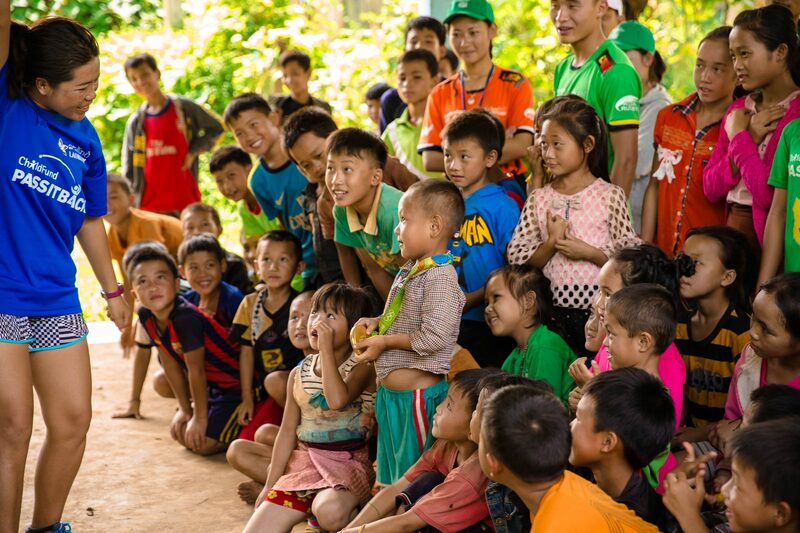 Our first aid model is endorsed by the Asia Rugby Medical Committee and represents a way to grow the game safely, drive positive collective awareness around health practices and provide safety in communities where there is no or limited access to first aid capacity. 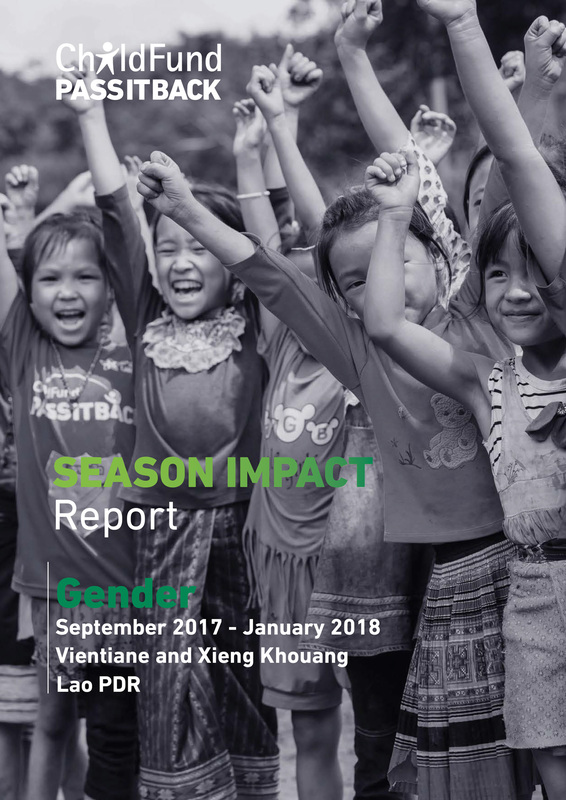 ChildFund Pass It Back places a high value on developing a coordinated and scientific approach to measuring change. We have developed an infrastructure that utilises a range of tools to measure outputs, outcomes and impact at coach, player and community levels. This goes beyond measuring participation through monitoring attendance, to also incorporating a focus on the development of individuals and communities from both a rugby and life skills learning standpoint. The program and processes are among some of the best in the world for connecting sport and development outcomes. 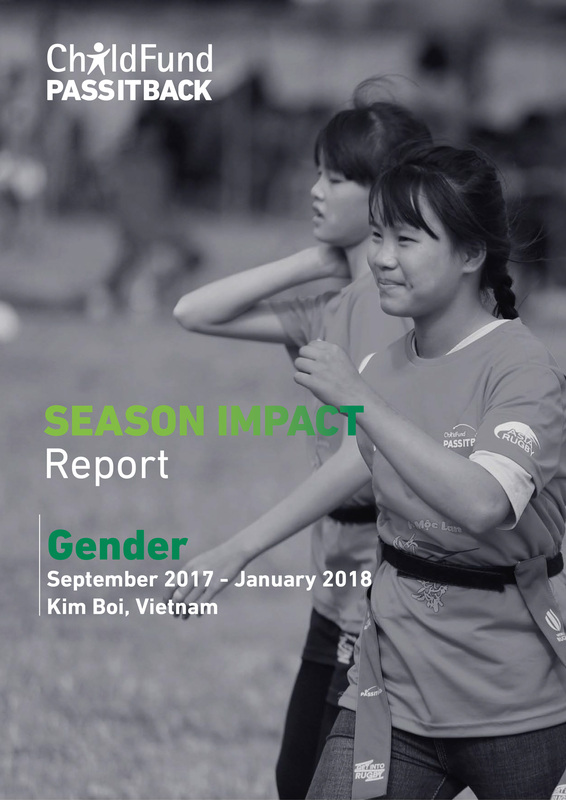 More than half of all players are female which is a world first for entry-level rugby programs. The coach development process not only gives young people the chance to develop and use new skills sets, but it can also change the way they see themselves and their value to the community. The first aid component increases individuals’ skill sets, and provides a valuable service in rural communities.